New sounds, noise, and some nonsense from the Stones, Neil Young, Lou Reed + more. Forty years ago this month, Velvet Underground mastermind and punk-rock godfather Lou Reed unleashed Metal Machine Music onto a public that would not and could not (and, indeed, perhaps even should not) have possibly known what to make of it. The two-record set is four sides of painfully discordant, aurally repulsive electronic noise collages. While Metal Machine Music may be the most sonically abrasive left-turn LP ever dropped atomic-bomb-like by a major star onto unsuspecting fans, it’s actually part of a nutty and even noble tradition among the annals of classic rock. Here now are eight out-of-nowhere albums by beloved superstar musicians that knocked eardrums and sensibilities the world over for quite a series of endlessly circulating loops. On the famous cover of the Beatles’ before-and-after line in music history, Sgt. 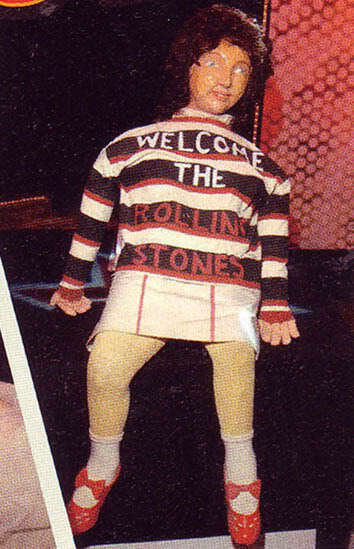 Pepper’s Lonely Hearts Club Band, a Shirley Temple doll wears a promotional radio sweatshirt from a Tennessee station emblazoned with the words, “WMPS Good Guys Welcome the Rolling Stones.” It’s an amusing shout-out from the Beatles to their closest peers and rivals, and one that the Stones answered with a head-scratching full-length album. 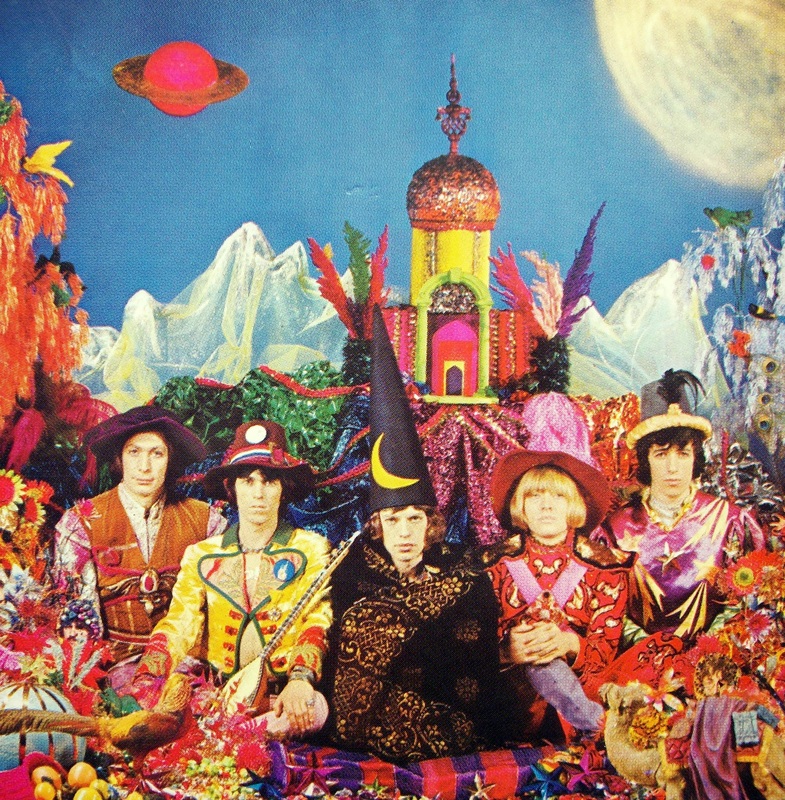 Their Satanic Majesties Request, which hit stores just six months after Sgt. Pepper, echoes the Beatles’ psychedelic leap forward from its freaky-deaky lenticular cover that features cut-outs and costumes to its experiments with soundscapes and way-out instruments such as the Mellotron. Suffice to say, Satanic Majesties is a pointed departure from the Stones’ usual dirty blues stock-in-trade, although it did beget two classic tracks, “She’s a Rainbow” and “2000 Light Years From Home. Critics largely decried the album as a desperate grab to catch up to Sgt. Pepper (as did John Lennon) and fans were likely too high to gripe much before the Stones returned to form in 1968, spectacularly, with Beggars Banquet. At the dawn of the 1980s, Kiss found themselves in (relatively) dire straits. Album and even concert sales were softening and interpersonal crises between band members would soon tear apart the original lineup. It was then that Paul Stanley and Gene Simmons hatched a bold solution: the band would make an official Kiss movie based on an original concept album. In itself, the plan is not without precedent: Jesus Christ Superstar proved to be a massive hit as a concept LP before being adapted for the stage and screen. On top of their aforementioned troubles, though, Kiss was already burdened cinematically by their uproarious 1978 TV-movie debacle, Kiss Meets the Phantom of the Park. Regardless, thus was born The Elder, a narrative sci-fi film that Kiss never made, and, more importantly, Music From “The Elder,” a hilariously wrong-headed rock opera song cycle that the group sure did write, record, and release in 1981. As produced by Bob Ezrin, who also oversaw Destroyer, Elder sounds great. The music itself, though, is a boondoggle. Still, it contains the nifty ballad “A World Without Heroes,” which on occasion, Kiss has performed in concert. Typically, Paul will crack a joke about Elder and at the end of singing “Heroes,” Gene mockingly recreates the end of the song’s music video, by tracking a single tear down the length of his demon-painted face. The Monkees TV show debuted on NBC as pop sensation in 1966, showcasing four carefully cast actors and musicians as a struggling rock group in surreal comedic adventures inspired by the Beatles first two movies. Music biz kingpin Don Kirshner hired the greatest songwriters in the business to craft hits for the “Pre-Fab Four,” and a succession of undeniably great radio sing-alongs resulted: “I’m a Believer,” “Pleasant Valley Sunday,” “Last Train to Clarksville,” “Daydream Believer,” and many others. Alas, the individual members of the Monkees were major talents and serious artists in their own right, and they resented how culture had come to define them as “phony”—although, for sure, when signing their contracts, nobody had held a gun to Mike Nesmith’s wool hat or Davy Jones’s Prince Valiant hair-do or Micky Dolenz’s white-man afro or Peter Tork’s blonde mop. Come the musically revolutionary year 1967, the Monkees fought to be free of Kirshner and create albums and singles they would write and perform themselves. It worked for a while, but the band members could never fully shake off charges of being solely “plastic fantastic” products for sale. Thus, with their popularity fading in 1968, they Monkees themselves out to destroy “the Monkees,” the mega-corporate commercial juggernaut. Working with screenwriter Jack Nicholson (yes, him) and director Bob Rafelson (Five Easy Pieces), the Monkees crafted Head, a one-of-a-kind brilliant psychedelic cinema suicide note that got dumped into theaters but immediately grew as an ongoing cult film sensation. To match Head’s wild, unpredictable, and confrontational on-screen visuals, the Monkees recorded an absolutely first rate series of songs, including Nesmith’s proto-punk scorcher “Circle Sky;” Tork’s bedazzling “Can You Dig It?”; “Daddy’s Song” by Harry Nilsson, which is sung in grand old Hollywood fashion by Davy Jones; and the movie’s mesmerizing theme, “Porpoise Song,” a psychedelic masterwork penned by Gerry Goffin and Carole King, which Dolenz brings to mesmerizingly tripped-out life. The Head soundtrack album itself showcases the songs interspersed with clips from the film and sonic pastiches created by Nicholson, including the madcap nursery rhyme-like guilty plea, “Ditty Diego.” The LP cover itself is just reflexive silver, creating a mirror effect, so that when you hold it right in front of your face what you see is the word “Head” and then just your own head. Get it? Well, the Monkees’ then-aging legions of teenybopper devotees most certainly did not “get” Head. But psych-pop adventurers have been cherishing and re-embarking on the album’s endless journey ever since. Alternative rock’s hold on mainstream culture in the 1990s had crested by ’98, as boy bands and Spice Girls heralded in the pop sounds that would close out the decade. The Smashing Pumpkins were still rock royalty at that moment, though, and perhaps sensing that the tide was turning, the Chicago outfit decided that they would not go quietly—by doing just that: going quietly. From 1991’s Gish through 1995’s double-LP triumph Mellon Collie and the Infinite Sadness, the Pumpkins sound had been smashing, indeed. Frontman and main songwriter Billy Corgan spearheaded the group’s sound, which incorporated heavy metal, gothic gloom, psychedelia, and even flashes of prog into a hard rock wrecking machine. For Adore, though, the Pumpkins switched gears, eschewing James Iha’s gale-force electric guitar attacks for textured electronica, acoustic strings, piano, and drum machines. Critics lapped it up and sales started strong, with Adore debuting at #2 and eventually going platinum. Upon playing the record, though, Pumpkins followers shrugged, and the group never fully recovered. Corgan then compounded Adore’s shortfall by blaming his own audience. He complained that the “fans didn’t have our back” this time out, and further bellyached, “At this point, they should have enough faith and confidence in us just like I have faith and confidence in the bands that I admire. And if they don’t, then they’re not fans.” After that tantrum, a lot of them for sure weren’t fans anymore. Wonderwall Music made history as both the first solo LP released by a Beatle, as well as for being the first product released by the Beatles’ Apple music label (Paul McCartney’s contributions to a 1967 soundtrack titled The Family Way are too minimal to count as a bona fide solo album). George’s Wonderwall Music the soundtrack to Wonderwall, a psychedelic art film starring Jane Birkin as model Penny Lane, and Jack MacGrowan as a scientist who drills holes in Penny’s wall as he becomes obsessed with her. As weird as the movie might sound in description, George Harrison’s music for the production is way more (pardon the pun) off-the-wall, for sure. Composed largely while George studied Hindu philosophy in Bombay, Wonderwall Music interweaves traditional Eastern sounds with Western classical inflections, experimental electronics, and flashes of rock-and-roll. Acoustic Indian instruments such as the sitar dominate much of the work, with interesting uses elsewhere of plugged-in music machines such as synthesizers and the Mellotron. Guest musicians on Wonderwall Music include sitar master Ravi Shankar, along with Ringo Starr, Eric Clapton, and the Monkees’ Peter Tork. As the sum of all those parts, Wonderwall Music is a fascinating foray for followers of the avant-garde and/or Beatles completists. For the rest of the world, it’s a relic of mind-expansion that begs the question, “What was George Harrison smoking back then?” No actual answer is necessary. Fleetwood Mac rewrote what was possible in pop-rock with their 1977 watershed Rumours, a multi-multi-platinum hit factory that also made deeply heartfelt and personal impacts on listeners worldwide, thereby setting up the band to be the biggest musical outfit maybe even of all time. Tusk, the album that followed Rumours, made sure that didn’t happen. Sprawling, strange, fitfully brilliant, and recorded at a cost of a then-unprecedented $1 million, the double-LP Tusk slammed into fans and critics alike in 1979 like a wrecking ball emblazoned with a giant question mark. If Rumours sounded nothing like Fleetwood Mac’s original incarnation as a heavy blues ensemble, then Tusk not only sounded nothing like Rumours, it actually sounded like nothing else anyone else had ever attempted since the last biggest rock group on the planet pulled off Sgt. Pepper’s Lonely Hearts Club Band. Alas, LSD seems to be a more creatively fertile intoxicant than cocaine and that, among other factors, may well explain why Tusk, triumph that it is in spots, hardly connected with human consciousness as did Sgt. Pepper. Mac bass player John McVie has correctly stated that Tusk comes off as three separate solo projects jammed together: one by vocalist Stevie Nicks, one by singer and keyboard player Christine McVie, and the biggest one by guitarist Lindsey Buckingham. In fact, Tusk’s three radio hits adhere to that theory: Stevie’s “Sara”, Christine’s “Think About Me,” and Lindsey’s title track. In summation, “Tusk,” the song, is the strangest damn concoction to ever hit #8 on the pop charts. Tusk, the album, took that weirdness all the way to double platinum status. Neil Young’s 1982 contract with Geffen Records promised him absolute creative control. The Canadian singer-songwriter obviously took that clause very seriously, as his initial release for his new label, Trans, features six of its nine tracks with Young singing through a Vocoder, which turns his familiar and beloved reedy tones into a crazy sci-fi robot voice. It was a freaky leap from Young’s previous release, 1981’s Re-Ac-Tor, which he recorded with his trusty ragged sidekick band, Crazy Horse. In fact, Neil actual began recording Trans as a Crazy Horse project, but later stripped the band’s familiar sludgy guitar and stomping percussion off the tapes and reconfigured them with sleek, new-wave-style electronics and, again, those completely nutzoid space invader vocals. Alas, a method to Neil’s Trans madness has since been revealed. Young had been working intensely to improve communication with his son Ben, who was born unable to speak as a result of cerebral palsy. The electronic voice, then, arose from Neil’s attempts to connect to his child. It’s impossible not to be moved by that motivation, which does cast Trans in a new light. Not so touched, however, was David Geffen. After Young followed Trans in 1983 with the similarly whacked-out 1950s concept LP Everybody’s Rockin’, the label owner sued Neil for sticking the company with albums that were “not commercial” and “musically uncharacteristic of Neil Young’s previous recordings.” Geffen’s own artists turned against him as a result, prompting him to drop the suit. Happily, Neil Young remains one of rock’s mightiest wild cards. By the end of 1974, Lou Reed had evolved from being the dark and dirty mastermind of cult sensations the Velvet Underground to ruling as one of rock’s dominating superstars by way of his one-two knockout combo of releases that year, the live landmark and Rock n Roll Animal and the studio smash Sally Can’t Dance. Reed’s immediate reaction to his surging fortunes, then, was to inflict upon the public Metal Machine Music, as unlistenable an experience as human ears can endure. Go figure, it worked—sort of. The double-disc Metal Machine Music contains, as its own packaging warns, “no songs.” Instead, it’s 64-minutes and 11 seconds of electronically distorted guitar feedback at varying speeds, split into four parts. It sounds like power generators revving up and breaking down, or a beat-up motorcyle already in motion if you were to turn the key forward or ancient TV static pierced by an occasional whistle and/or buzzsaw. And that is it. For more than an hour. Bafflement did indeed greet Metal Machine Music, but so, too, did controversy and notoriety that ultimately resulted in more than 100,000 sales. Beyond that, MMM only added to Lou Reed’s legend as one of rock’s wildest and most dangerous outlaws. The album has since been hailed as a major influence on industrial rock and contemporary drone metal of the sort practiced by SunnO))). None of this is to suggest that some inherent reward can be found in enduring Metal Machine Music all the way through. Still, a little bit is always worth a listen. No other major rock figure has ever so brazenly defied expectations and, for that, we should forever be awe of what Lou Reed pulled off here—albeit, perhaps, with ear-plugs.